We provide all the necessary product related information to our customers. 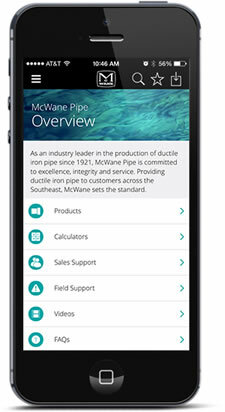 McWane offers a wide range of pipeline products for water, fire and sewage in cast and ductile iron material. For over 90 years, the men and women who make up the McWane family of companies have demonstrated pride and a commitment to excellence in the products they make. Please check out our news releases and articles to read about what's happening at McWane India Private Limited. Tyler Pipe team members showed up big for the 2019 Tyler Run for Autism. This event began in 2012 with the purpose of raising funds to provide much needed Applied Behavior analysis therapy to children on the Autism spectrum. This was another great opportunity for the Tyler Pipe team to show their support for the local community. Your trusted provider of guaranteed India-made waterworks products.